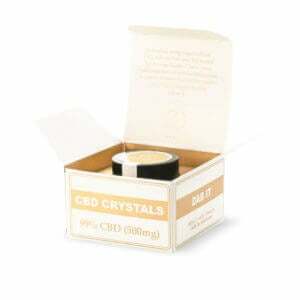 Our cbd crystals are perfect if you’re looking for maximum purity CBD. Our range includes our 99% Pure CBD Crystals, containing absolutely no THC (the part of the plant that gets you ‘high’). With cbd crystals, you can make your own CBD products like CBD vape oil or edibles. You can even make your own CBD tinctures by dissolving the crystals into a carrier oil, like coconut oil (They allow you to make your own bespoke CBD products).